The newly developed label printer BMP 51 combines different labelling solutions in a single device. The mobile label printer BMP51 is the ideal printer for laboratories, telecommunications and electrical industries. Compact size, removable battery and handy material cartridges provide ease of use and flexibility. In addition to foil labels for General labeling tasks are many special materials available, including laboratory labels, heat shrink tubing or cable markers. Brady brings together what belongs together with the BMP 51 label printer. The early 2012-published sequel to the successful mobile printer LabXpert”IDXpert” offering a wide range of proven materials, but this time for lab, data communication and electrical industry in a single device. Whether cable markers, heat shrink tubing, tamper-proof seals, or laboratory labels for such tubes, reaction vessels, Petri dishes, microtiter plates or microscope slides – with the BMP 51 to the most versatile mobile printers on the market is one of over 20 different types of materials and countless formats. The customer feedback was also used to further improve the operation compared to the predecessor. Thanks to smart cell”technology will automatically detect the labels and the printer is calibrated accordingly. Credit: Pete Cashmore-2011. Thus, there is no Committee or time-consuming proofs even for inexperienced users. The large, illuminated display shows the finished label already prior to printing. The materials are again in print-ready, handy cassette tapes, which have been improved and are easier to handle. What distinguishes the BMP 51 particularly from other devices is Brady’s many years of experience in the field of industrial marking: even in difficult environments, the materials are extremely robust and durable. The adhesives meet easily high industry standards, no matter whether particularly strong or completely removable. In the laboratory, Brady plays an important role for a long time. So are the temperature-resistant Freezerbondz labels is specifically optimized for use in cooling incubators, freezers, centrifuges, autoclaves, hot water bath or liquid nitrogen storage. The BMP 51 printed labels in the high-quality thermal transfer method. Its compact size, low weight of only 1400 g, as well as an integrated, high-performance lithium-ion battery make the printer the ideal mobile companion. The device can be used autonomously without a computer. 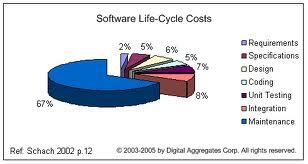 The pressure over the extensive PC software label marker request takes place”. In any case the user are features like serialization, integrated bar code, as well as hundreds of icons available. In addition to the USB 2.0 port connection the BMP 51 by default has a Bluetooth. This allows you to create labels wirelessly with your Android Smartphone. The networking opportunities can be extended at any time to Ethernet and WiFi. A Bluetooth card, a sturdy hard shell case included is located next to the printer BMP 51 of the Lithium-ion battery, an adapter for AA batteries, AC adapter, USB cable, product CD, manual and a material cartridge MC-1500-595-WT-BK (foil tape, size 38, 1 mm x 7.62 m, black on white vinyl sticker).